Police shot a pit bull in the head, killing it, after it attacked a boy in Hasbrouck Heights, New Jersey. The boy is undergoing surgery. Pat Battle reports. A dog attack in New Jersey left at a 17-year-old boy taking out the trash injured, its owner with more than 100 stitches and the canine dead from a gunshot to the head. The alleged incident happened around 8 a.m. Friday in an apartment complex in Hasbrouck Heights. The pitbull allegedly attacked as it was being taken out by its owner, according to a neighbor. Allegedly, when the dog's owner pulled on the leash to get him away from the teen, the dog turned on her as well. A dog attack in New Jersey left at least one person injured and the canine dead from a gunshot to the head. 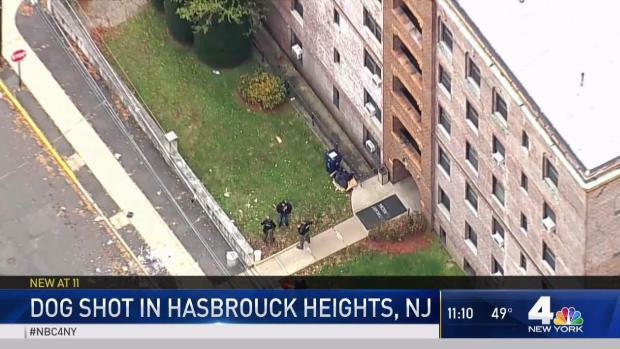 The incident happened Friday morning in an apartment complex in Hasbrouck Heights. When the authorities arrived, they shot the dog when it became aggressive toward them. The dog was described by neighbors in the building as friendly and well-mannered, until Friday morning, when it snapped. In an interview with our sister station Telemundo 47, a neighbor said that she had pleasant interactions with the pitbull adding that the dog jumped on her many times in a friendly manner. At the scene, blood could be seen on the floor and walls. 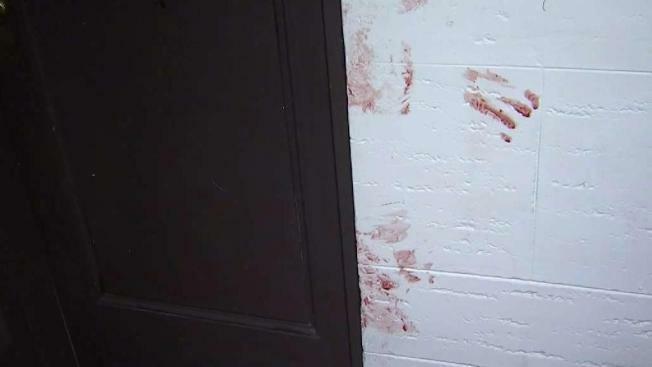 In photos shared by the victim’s father, Guido De Castro, with NBC 4 and Telemundo 47, bloodied, open wounds can be seen on the victim’s arm. Another photo shows the sweater the victim was wearing during the attack — a portion of one of the sleeves missing, presumably where the allegedly bit the teen. The bite of the dog was so powerful and deep, it tore muscle in the teen's arm, his father said. De Castro, who is the super of the building says that only small dogs are allowed in the building, adding that there have been complains on the dog that carried the attack. De Castro says his son is expected to stay overnight at the hospital. The owner is also at the hospital, undergoing plastic surgery, after, according to De Castro, receiving 180 stitches to her head, face and arm where the dog turned on her. It’s unclear what prompted the attack.